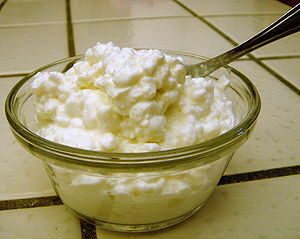 This entry was posted in Eating to Live and tagged Cottage cheese, diet, Eating, Egg white. So much of what you write on your blog resonates with me. Your recommendation regarding the book on New Rules of Lifting for Women especially. I was put on the waiting list at the Berkeley Public Library and copied a great deal of it into a new binder with plastic covers..a few years ago and did this religiously for months…until i realized that I had developed frozen shoulders (both) and cervical radiculopathy. This had little to do with the weightlifting, but everything to do with the eventual demise of my cervical spine. What of those shoulders you may or may not ask?? Again,,just happens. I had met with a physical therapist a few times, and have arranged to see her again next week to go over my progress. I mean to add some more weights more often, though the heavy ones are out of the question for a while. I am up to swimming nearly a mile 3-4 times a week at the Oakland Y with “Finis” swim fins and webbed hands. They are both yellow. I look like a multicolored duck. My swim cap is magenta and silicone and slips on smoothy over my curly locks streaked with white (not unlike Cruella DeVille or Jonny Depp in Sweeney Todd, so I’ve been told). I actually really look forward to that ‘glidey feeling’ I get after the first lap and shock of the cool water (even after i need to go into the sauna or steam room to heat up). I remember asking you how you motivate yourself to do what you do…and you told me it just became a habit..there was no way to just ‘become’ motivated. The habit has sunk in now, and i am feeling more fit and firm even after each swim. Weight Watchers is something I have gone back to…for the added accountability..though I might add I really did enjoy the fitday website as well as sparkpeople , as well as peertrainer.com. All wonderful sites with lots of good information to share and wade through. Did I mention I adore Dr. Oz, Dr. fuhrman, and years ago devoured Dr. Weil’s books and as well as his website. I had no idea that I’d write this much…there’s been lots of opportunity for blogging on all of the sites, but never made all that much time. I adore your writing…you have a lot of knowledge and place a wry and wise spin on everything…always have admired that about you. So glad that you have shared your blog, and have been so inspired by your musings. Just today when I was attempting to count laps (I have always lost track soooo easily) I was trying to visualize the number and between each stroke did “Meta Meditation”. For example 34 May I be happy, 34 May I be healthy, 34 May I be fit and firm….This mainly worked,,,and I got to meditate AND exercise at the same time. Not sure this is even legal I won’t tell if you won’t. Time to have some lavender tea with chamomile…i too pack my food for the whole day..takes out alot of the guesswork, takes away much of the mindless nibbling. So much to share..i have to figure out the best venue..thanks for reminding me there are people like you out their pursuing the very same thing as me! May you be fit, firm and strong!!! Thank you for your comment. When I first heard the word “radiculopathy” I could not get my mind off the idea that it was somehow related to “ridiculous.” We two have much in common, including the Cruella DeVil thing.